As Loyola left the Final Four court Saturday night in disappointment, coach Porter Moser hugged Christian Negron, a freshman forward who played sporadically in 17 games. He told Negron, "Your offseason starts when we get back." Moser told freshman Lucas Williamson he'll be following in senior Ben Richardson's footsteps. He indicated the leadership he will expect from freshman center Cameron Krutwig. "I just said, 'You guys are the keepers of the culture now,'" Moser said. "You want it to sustain with the guys." Loyola tasted success it hadn't enjoyed in 55 years, slaying giants as a No. 11 seed all the way to the national semifinals with a 69-57 loss to No. 3 seed Michigan. The bar has risen in Rogers Park, where expectations will be great after the Ramblers put together a 32-6 season that included their first Missouri Valley Conference championship, league tournament title and first Gentile Arena sellout since 2003. MVC defensive player of the year Richardson (6.9 points per game), Aundre Jackson (11 points per game) and Donte Ingram (11 points, 6.4 rebounds per game), the seniors, will be gone. The Ramblers still feature a strong core. Williamson and Krutwig gained valuable experience this season. Point guard Clayton Custer, the MVC player of the year, returns. Marques Townes offers another key piece. That's three returning starters and four players who averaged at least 20 minutes and four points per game. Sophomore guards Cameron Satterwhite and Bruno Skokna should take another step and see more time. Negron, a 6-7 forward from Elgin, should have an impact. "I've talked a lot about culture and trying to develop a culture of the way we do things," Moser said. "The guys who didn't get as many minutes, the guys that did, the Marques Townes, the Claytons, the Lucases and Krutwigs, those guys have to be the keepers of the culture. And do things a certain way. And that's the way we're going to do them." There also will be some decisions for Moser and Loyola. 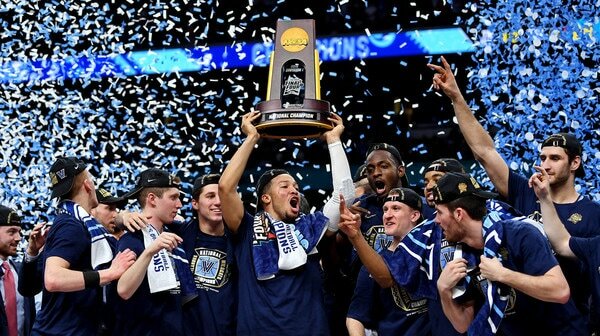 Mid-major coaches who make a NCAA tournament run typically receive offers from high-major schools. Loyola officials have said they've had internal talks about renegotiating Moser's contract. After being picked in the preseason to finish third in the MVC, Loyola's mounting victories eventually made them a front-runner for much of this season. Next season, the Ramblers will be the team to beat from the start of the season. High expectations will be new to the Ramblers. "There's going to be a target on our backs," Krutwig said.